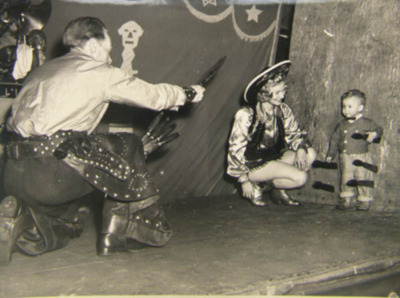 One of the classic acts of the circus sideshow is the Knife Thrower. Knife throwing is part of a group of performance arts known as impalement arts. Impalement arts include knife, axe and tomahawk throwers; bullwhip crackers; archery marksmen; and sharpshooters. 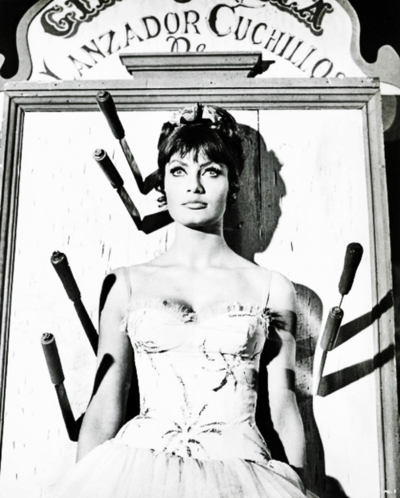 Although many knife throwers break balloons, pin a playing card, or cut a cigarette in half; the most famous knife throwing stunt is called “The Wheel of Death”. 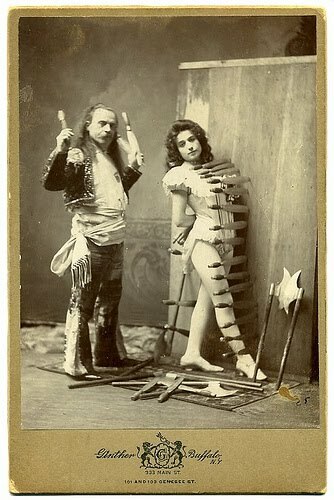 This knife throwing stunt involves strapping the knife thrower’s assistant, usually an attractive girl, to a large wooden wheel, which is then spun around. The knifes are thrown as the girl continues to spin on the wheel. Knife throwing has its roots in prehistoric times when early man used throwing sticks to hunt animals. The throwing stick, widely considered one of the first weapons used by prehistoric man, is similar to the boomerang used by Aborigines in Australia. After man begin to make metal objects the technology was soon used to make deadlier weapons, including metal knifes. Throwing knifes almost immediately became a practical, supplemental weapon and warriors began to carry them into battle as backup weapons. 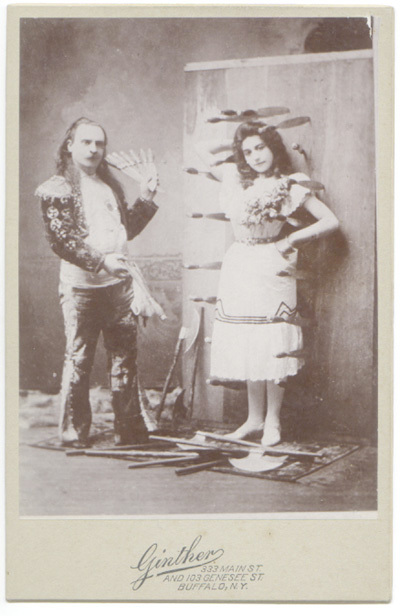 During the 19th century, the sport of knife throwing began to grow in popularity. Competitions were designed to find out who had the most skill and accuracy. 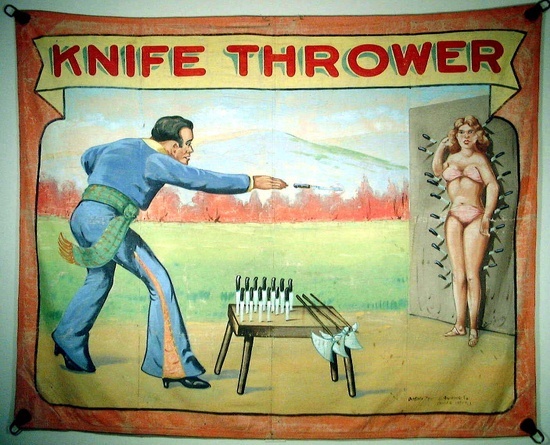 Soon circuses began to feature knife throwing acts. Knife throwing performances continue to this day as a popular form of entertainment. This entry was posted in Uncategorized and tagged circus, circus sideshow, freaks, impalement arts, knife thrower, sideshow, sideshow freaks, sideshow performer, wheel of death. Bookmark the permalink.